The 5ive Star Gear® M-16 Cleaning Kit is a mil-spec cleaning kit that is similar to the original US military issue. 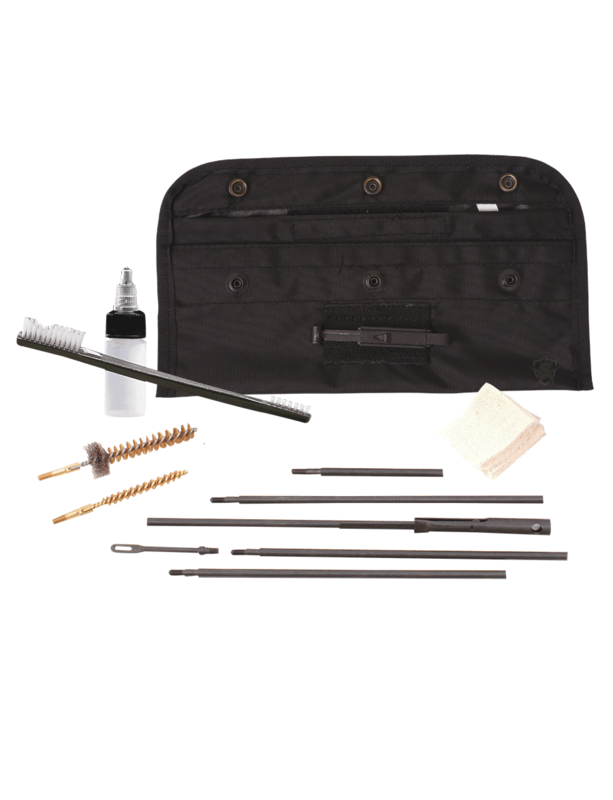 This kit contains everything you need to keep your rifle clean and operating well. Included in its nylon case with snap closure is multi-sections for included cleaning rod, slotted tip, bore brush, chamber brush, utility brush, solvent/lubricant squeeze bottle and cleaning patches. The compact design makes it easy to keep one in your backpack or range bag.